It appears that film is making a resurgence. At the recommendation of fellow photographer Andrew Stott, and after reading the blogs of many photographers currently singing the praises of film and analog photo gear, I decided the give analog a shot. I have never purchased any film or film cameras. However, when I went away to college in 1996, my dad gave me his old Canon AE-1 P for the basic photography class I was planning to take. The camera is from 1984 — I used it for two rolls of film in 1998 (which I attempted to develop myself — results not too great) and then it sat in a box for another 13 years. Meanwhile I became more interested in photography after college, just as digital cameras were gaining momentum. I feel at least semi-comfortable with a number of types and brands of digital cameras, but I didn’t really know what to expect with the AE-1… mainly because I never tried to “learn” it, but also because I didn’t even know if it still worked. Andrew recommended I start out with the relatively new Kodak Portra 400 35mm film, since it gave a lot of exposure latitude — after all, I didn’t have a light meter, and I had no idea if the built-in meter worked at all. Not only that, but film isn’t free, and neither is developing and scanning, so I needed as much help as I could get. I rolled the Portra through first, and then a roll of Fuji Neopan 400, which many people find to be a great all-purpose B&W film. For developing and scanning, Richard Photo Lab (RPL) in Hollywood came HIGHLY recommended from several friends and is literally the “end-all, be-all” according to the vast majority of professional film photographers. They not only have a great reputation for customer service, but the color and quality of their prints and scans was supposedly top-notch. I decided to give it a shot, even as a beginner, and I was extremely impressed! While being far from the top of the talent and gear list in the film world, I feel like the results were great and a lot of that had to do with the way RPL processed and scanned the rolls I sent. 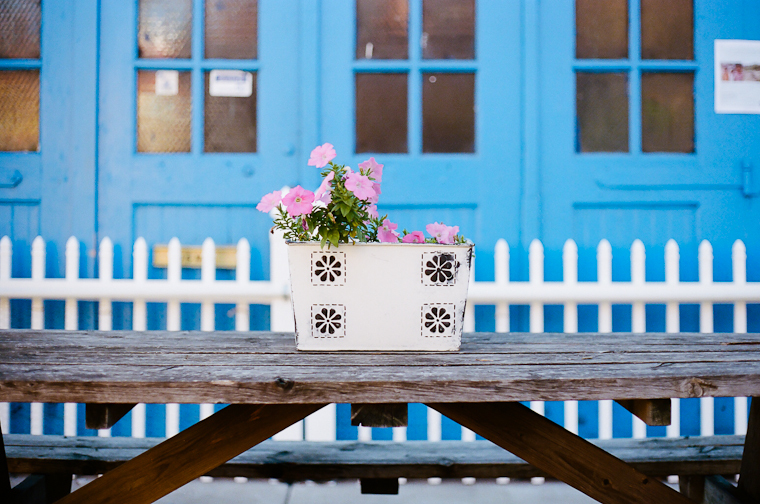 Check out some color samples below (Kodak Portra 400) and B&W further down (Fuji Neopan 400). I’ll post more film shots as they arrive — happy shooting!